Thanks to Simon Brown for this photo! 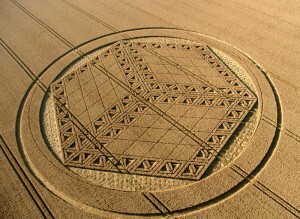 In my opinion this Crop Circle at Hackpen Hill is the most spectacular of the 2012 crop circle season! Many Crop Circles this summer have been excellent, but this one is truly incredible in its scope and the degree of precision we see in the execution of its many exacting details. The 120 perfectly uniform triangles are remarkable, and the basket weave “floor” on which the cube rests is also absolutely perfect as well! 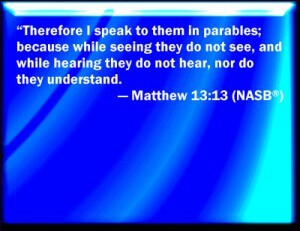 I do not frequently quote the Bible, nor I am not a religious person. I do deeply appreciate the almost unfathomable miracle of this universe and the stars it sustains, the array of atomic structures which the stars have produced, and the endless variety of magnificent life forms which have sprung forth from these crucibles of life’s building blocks. As I have delved more deeply into the Crop Circle, UFO, alien abduction, and cattle mutilation phenomena, I have come to realize that the sum of evidence deriving from these four otherwise inexplicable phenomena leads to but one conclusion: the Extraterrestrial Hypothesis is the most likely hypothesis which would explain all of the above. When one fully absorbs this realization into one’s worldview, a lot of things begin to make more sense. Even the Bible, which describes the “Virgin Mary” who somehow became pregnant with Christ (an ET abduction – artificial insemination scenario), and the “Star of Bethlehem”, which had to have been a UFO. No naturally occurring celestial object behaves as described in the Bible’s account of the Magi following the Star of Bethlehem (“And behold, the star that they had seen in the East went before them, until it came and stood over the place where the child was”). In my opinion those who will continue to invoke “God magic”, “miracles”, or “angels” as reasonable explanations for those ancient events and those which we witness today are the same individuals to which the passage in Matthew 13 is referring. I believe we need to become much more grounded in what we are willing to accept as reasonable explanations for these past and current enigmas. Magical thinking is not going to save our civilization from ruin due to a future nuclear holocaust, or the looming environmental breakdown due to our continued dependence on fossil fuels. I was in Glacier National Park last weekend and I can tell you, firsthand, that due to global warming there are almost no glaciers remaining in Glacier National Park. 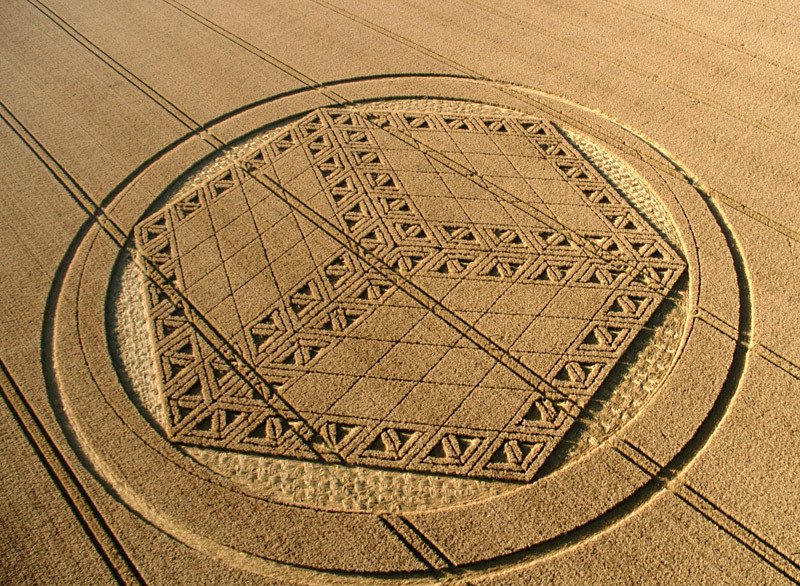 We must look at this Crop Circle at Hackpen Hill and we must acknowledge that considering the circumstances under which it came about, it is beyond the capability of any group of human beings to create. We must add this realization to the mountain of evidence attesting to the reality of the UFO, Crop Circle, alien abduction, and cattle mutilation phenomena, and we must admit among each other that we are being contacted by a highly intelligent, technologically advanced, and very likely benevolent ET civilization who are attempting to gently, but persistently, insinuate themselves into our reality. We must put aside our fear of the unknown and instead embrace it, knowing that only when we leave our comfort zone can meaningful growth come about. We must “beat our swords into ploughshares” and scrap all nuclear weapons programs, and begin to focus our energies and our efforts toward taking care of this planet and each other, thus pushing our social evolution in the direction of becoming a truly enlightened civilization. Any person who claims to be a Christian but remains silent about our nuclear weapons conundrum and the minute to minute threat that it represents to the biosphere of this planet and to human life cannot truly call themselves a Christian. I do not believe that Jesus Christ would have remained silent and thereby lent his tacit approval to the production and maintainance of the nuclear weapons systems currently present on this planet for ten minutes, let alone the six decades that we have been continually working on refining our capability of obliterating all life on this planet. The same can be said about anyone who considers themselves “pro-life”. We must begin to try to attempt to make non-hostile contact with the ET beings who are interacting with us, and we must begin a conversation with them. What we might learn from a civilization who are very likely thousands, if not millions of years ahead of us in their technological, social, and spiritual development is truly impossible to predict but will very likely be well worth the discomfort we will inevitably experience as we go through the changes this new knowledge will bring about to our current, dysfunctional geopolitical paradigm. Please take a look at this short video which displays some of the highlights of the Hackpen Hill Crop Circle.